Stages creates fun, high-quality youth community theatre. While Black Creek Park is still a relatively undeveloped park, its 1,505-acres has many unique features to offer. The park provides opportunities for hiking, soccer, fishing, horseback riding, sledding, and cross country skiing. It also features a playground located near the Pathfinder Shelter. The park offers five hiking trails, all of which are excellent settings to view nature and animals. Brighton Memorial Library is committed to ensuring public library services of the highest possible quality for the Brighton community. The library consists of three floors and is fully accessible with an elevator. The adult room is on the first floor, the large attractive children's room is on the second floor, and there is a meeting room used for library programs and by community groups in the basement, the branch houses approximately 40,000 books, magazines, recordings, and videos. The Chili Public Library is the center of lifelong learning for our community, and a welcoming responsive place people come to for the discovery of new ideas, the joy of reading and the power of information. Churchville Park is full of fun recreational areas: soccer fields, tennis/pickleball courts, playgrounds, a golf course, a natural ice skating rink and a disc golf course. Churchville's 742 acres includes five lodges and five shelters that are available for rental. Churchville Park also offers a boat launch for non-motorized boats. Eat Smart NY supports families eligible for SNAP to eat more fruits and vegetables, drink fewer sweetened beverages and practice healthy lifestyles. This is done through free workshops, food demonstrations, cooking classes, grocery store tours and community events in the City of Rochester. The East Rochester Pubic Library offers caring, personalized reference services, computer help, special events, and 44,000 print and A/V borrowing materials for our patrons from infancy through adulthood. At 447 acres, Ellison Park has the beauty of natural woodlands combined with steep slopes and the level flood plain of the Irondequoit Creek. Ellison has 5 softball diamonds, 1 multi-use athletic field, and a playground. It has one of our two legal off-leash Dog Parks in the County Park system. Tennis courts are located in the park off Blossom Road, and are lined for Pickleball also. There are two designated sledding hills located in Ellison Park. A non-motorized/car-top boat launch is located by the Circle Shelter allows you to boat in Irondequoit Creek. Fishing is also allowed. Ellison Park has many trails; their locations are shown on the trail map. Fort Schuyler is another attraction that the park offers; this replica of the original Fort is a great attraction for the whole family. The Fairport Public Library, using both its resources and those available through the Monroe County Library System, provides equal access to educational, informational, and recreational resources for the residents of the Fairport Central School District with professional, courteous, and friendly service. Give back to your community by helping to build a Rochester Habitat for Humanity home; we welcome volunteers 16 years or older on our house building sites. The Gates Public Library is a friendly, creative learning center where the staff engage with the public to develop a variety of collections, resources, and programs that will encourage education, literacy, personal enjoyment and professional growth. Genesee Country Village & Museum is the third largest living history museum in the USA and the largest in NYS, just 20 minutes from Rochester! There’s fun for everyone! Enjoy a day in the 19th-century in the Historic Village, view amazing collections of wildlife art or 19th-century clothing in the John L. Wehle Gallery, or explore five miles of themed nature trails on 175 acres of wildlife habitat at Genesee Country Museum Nature Center. 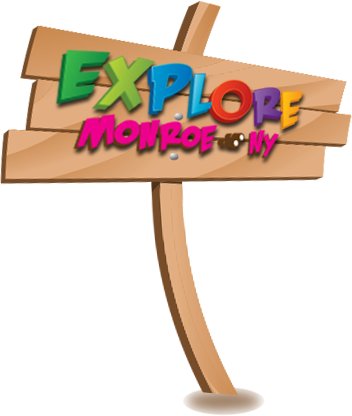 Collect an Explore Monroe code from each one! Visit our website at www.gcv.org for much more information. Open Tuesday through Sunday, 10 a.m. to 4 p.m.
Genesee Valley Park is a Fredrick Law Olmsted-designed park that is dominated by three intersecting waterways, Red Creek, the Genesee River and the New York State Barge Canal. At 800 acres, the park is an ideal access point to a major network of trails along the river and canal as well as the route 390 bike trail and the Genesee Valley Greenway. Also included in the park are softball diamonds, multi-use/soccer fields, a cricket pitch and two 18 hole golf courses. Additional golf course information can be obtained visiting the golf course website. This 577 acre park is ideal for hiking, bird watching and cross-country skiing. The park also has a softball diamond, soccer field, tennis/pickleball courts, playgrounds and a youth camping area. It has one of our two legal off-leash Dog Parks in the County Park system. The Greece Public Library is a full service library that offers a variety of information, leisure and entertainment resources, including: books, DVDs, Books on CD, eBooks, magazines, music CDs, Internet access, wi-fi and electronic databases as well as offering adult and children programming. The Highland Branch Library has a collection of 26,000 items, which includes books, magazines, videos and DVDs with their emphasis is on current topics and titles. Highland Park is a beautiful 150 acre park that is host to many fun activities, events and interesting attractions. Highland Park offers the Lilac Festival in May, where there are games, crafts, food and fun! The Lamberton Conservatory, which is a beautiful collection of plants from many different places, is open all year around. Many memorials and gardens are located in the park, including The Vietnam Veterans Memorial, Workers' Memorial, Victims' Rights Memorial, and the AIDS Remembrance Garden. Lily Pond provides a natural skating rink in the winter. A softball diamond is also available for rent. Nestled within the prized Olmsted-designed Highland Park, the Lamberton Conservatory, founded in 1911, boasts a fascinating array of specialized exhibits of diverse plant species, which can be viewed by visitors throughout the four seasons. This 15-mile linear trail park is located in the southern-most portion of Monroe County, beginning at the Genesee River and extending through the Towns of Rush and Mendon to the Ontario County Line, and extending north to the Town of Henrietta. The Lincoln Branch provides a range of library services to its ethnically diverse community, in addition to Lincoln's collection of Spanish-language books, videos and music, special collections include African-American fiction, career and civil service test preparation materials, child care books, and a popular DVD collection. This marsh area is great for canoe and kayak access to the bay. In 2001, an additional 12 acres were acquired in the wetlands area. The Maplewood Community Library is a 6,200 square foot one floor building constructed in 1959 and has many windows provide an attractive, bright atmosphere for learning and relaxing. Mendon Ponds Park is the largest Monroe County Park with 2,500 acres of woodlands, ponds, wetlands and glacially created landforms. In 1969, it was named to the National Registry of Natural Landmarks due to its geologic history and presence of significant kames, eskers, and kettles. The Mendon Public Library provides lifelong learning opportunities through exemplary collections, technological information resources, and opportunities to gather, discuss, learn and enjoy. Monroe Branch Library offers materials, programming and other services that enlighten and entertain. With 21 parks and roughly 12,000 acres, the Monroe County Parks System gives opportunities for Monroe County residents and visitors to enjoy recreational and educational activities while treasuring its natural, zoological, horticultural, historical and geological features. Northampton Park (973 acres) has hiking, bridle and cross-country ski trails, a downhill ski slope, a model airplane field, playground equipment, soccer fields, and a scout/youth camping area. The park also offers two lodges that are available for rent. Horseback riding is permitted. There are two enclosed lodges, the Ski Lodge, which holds 80 people, has picnic tables, a wood burning stove on the inside, a grill, water spigot and bathrooms. The Knollwood Lodge holds 99 people, has a stove, refrigerator, indoor bathrooms, picnic tables, a fireplace and a charcoal grill. This mostly undeveloped parkland is home to wildlife and fishing enthusiasts. Approximately one mile of this creek (both banks) runs through the 461-acre Oatka Creek Park. The park is open daily from 7am-11pm, is a total of 39 acres and offers five shelters that are available for rent between May 1st and October 31st. The swimming season at Ontario Beach Park is open from the Friday after Father's Day until Labor Day. Swimming is allowed daily 11:00 a.m. to 7:00 p.m. during the summer. For water conditions call 585 753-5887. Equipment and toys are available for rent, and free swimming lessons are offered(5 years old and up). Please call the beach hot line to be sure swimming is open. To bring people, information, ideas and experiences together to establish the library as the living center of the Parma community. The Penfield Public Library offers a broad and ever evolving collection of print and non-print materials as well as technology, programs, and gathering spaces for discussion, to meet informal learning and informational, cultural and recreational needs of patrons of all ages. The mission of the Pittsford Community Library is to meet the informational, educational, and recreational needs of the community. At 380 acres, Powder Mills Park offers a unique natural setting with steep hillsides, creekside meadows and wetlands that provide a variety of recreational activities. There is downhill skiing, hiking, and trout fishing. The park also offers six lodges and four shelters all available to rent. The six-time Calder Cup champion Rochester Americans, who play their home games at The Blue Cross Arena at the Rochester War Memorial, are the American Hockey League affiliate of the Buffalo Sabres and will be playing their historic 60th season in 2015-16 beginning in October. Rochester Lancers are a professional indoor soccer team that plays from November-March. Share the fun of discovery at the Rochester Museum & Science Center, with hands-on exhibits, planetarium shows, and much more! The City of Rochester Public Market has served the community at its 280 N. Union Street site since 1905. Bargains and local goodness abound Tuesday, Thursday and Saturday, 52 weeks a year. Vendors--over 300 on Saturdays!--offer fresh produce, ethnic delicacies, specialty items, general merchandise, and so much more. In addition, an array of independent local businesses--cafes, food stands, coffee shops, florists, specialty food purveyors, breweries, and more--can be found on Market grounds and in the surrounding Market District. Market Hours: Tuesdays and Thursdays, 6 a.m. to 1 p.m.; Saturdays, 5 a.m. to 3 p.m. You can find the Explorer Code in the lobby of the Market Office. The Rush Public Library cultivates intellectual growth by fostering equal and open access to books, technology, and community. A public library serving the Town of Wheatland. A place for serious fun; committed to serious conservation efforts. A public library serving, Brockport, Clarkson and Sweden. The Alzheimer's Association, Rochester & Finger Lakes Region, has been providing programs, services and advocacy since 1981 to individuals with Alzheimer's disease and other dementias, their families and health care providers. We serve a nine-county area that includes Chemung, Livingston, Monroe, Ontario, Schuyler, Seneca, Steuben, Wayne and Yates counties. 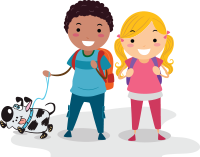 The Henrietta Public Library offers storytime, book groups, and other programs for all ages as well as public computers, books, videos, and more in their online catalog. The Irondequoit Public Library is committed to serving the informational, educational and recreational needs of our diverse community on a free and equal basis. Stop in to the Mendon Public Library to browse their vast collections, tackle work in a quiet study room, catch up on the latest newspapers and magazines, access the internet on our patron computers or wireless network, and so much more. The Newman Riga Library boasts Internet access, Books, DVD's and an Electronic Doorway library, while still offering a personal touch to its' largely pedestrian village patronage. The Strong is a history museum that engages kids of all ages with dynamic exhibits; the National Toy Hall of Fame; and the world’s largest collection of toys, dolls, and games. The National Susan B. Anthony Museum & House shares the story of Susan B. Anthony’s lifelong struggle to gain voting rights for women and equal rights for all. They keep her vision alive and relevant by preserving and sharing Anthony’s National Historic Landmark home. The Chili Recreation Department offers various programs, sports leagues, special events and lodge/pavilion rentals within the Town of Chili. Gates Recreation & Parks Department offers a variety of programs, special events, park facilities and services for all members of the community. The Irondequoit Department of Parks and Recreation is responsible for operating and maintaining the Town’s park system, various recreation programs at several locations and special events throughout the year. Pittsford Recreation provides exceptional community-wide programming for youth, adults, and seniors such as after school programming, dance classes, Karate, child care, and many other events. The Toy Library at the Lincoln Branch Library offers a wide variety of toys and equipment to enrich play experiences between children and their caregivers. Tryon Park contains 82 undeveloped acres on the western shore of Irondequoit Bay and offers hiking and natural scenic areas. This park is mainly undeveloped but offers nature enthusiasts some hiking trails. At Webster Park, you'll discover 550 acres beautiful evergreen-planted slopes, rolling lakeshore breakers and cool green valleys. Located along the shore of Lake Ontario, this Monroe County Park even has a fishing pier. There is a multi-use athletic field, tennis/pickleball courts, a scout/youth camping area, and a family Trailer/Tent campground in the park. Winton's collection reflects a wide spectrum of needs and interests, there is a collection of Russian language books, books for literacy students and books in large print.